Similipal the name of Hill Range is derived from the magnificent and charming Simil (Silky Cotton Tree). The hill ranges have been appropriately described as "Salmali Saila (the hills of Simil Trees)" in the poem 'Usha' written by the famous Oriya poet Laureate Radhanath Ray. Lush green forests, grasslands, sparkling cataracts and rivers, tigers, elephants, deer, flying squirrels… there is so much to attract you to visit and stay there at the Similipal Tiger Reserve and national park in Orissa India. The hills with several peaks and valleys in between, rise steeply from the plains of Udala in the south and Baripada in the south-east and extend up to Jashipur in the north-west, Bisnoi in the north and Thakurmunda to the west. There are several streams flowing in all directions and ultimately draining into the Bay of Bengal via Major permanent rivers are the Budhabalanga, Palpala, East Deo, Nekedanacha (Salandi), West Deo, Khairi, Bhandan and Khadkei. The riparian zones, perennial streams and meadows form key areas. 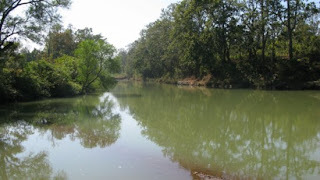 The Bhadragoda valley, Tarinvilla area, Patbil and numerous small swamps and marshes form the riparian zone. Prominent meadows are Devasthali, Bachhurichara, Sapaghar, Matughar, Tarinivilla, Tiktali, Chahala and upper Barakamuda. 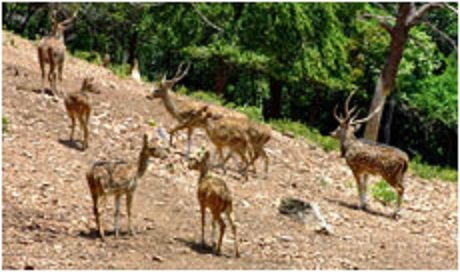 Flora and Fauna: This expansive ecosystem, thanks to the mega conservation efforts, has close to a 100 tigers, Leopard 115, Elephant 449, Spotted Dear 3500, Barking dear 4500, Mouse dear1800, Sambar 9000, Gaur 950, Wild boar10500, Langur 250 troupes, wild bear 2900, Rhesus macaque 75 troupes etc are living freely in side the Project area. And you can also see other mammalian species like antelopes, chitals, chevrotains, wild dog, sloth bears, monkeys, hyenas and porcupines are also found here. There are around 230 species of birds in these forests. The ones officially recorded include the red jungle fowl, hill myna, peafowl, alexandrine parakeet, crested serpent eagle, gray hornbill, Indian pied hornbill, Malabar pied hornbill and Indian trogon. Most of these bird species may be spotted in the park. s Newana area. There is a sizable population of reptiles as well, which include snakes and turtles. The population of crocodiles has increased considerably since the inception of the Mugger Management Program. Simlipal National Park is a floral treasure as well. There are 1076 species of plants belonging to 102 families. of which 92 are orchids having similarities to the Northern and Southern Indian orchids. Seven percent of the Indian species of flowering plants and eight percent of orchids of India are found in Similipal. Northern Tropical Semi evergreen Forests extend over an area of about 80 km. Northern Tropical Moist Deciduous Forests extend over an area of about 1540 sq. km. It is found all over Similipal except the moist valleys on the Southern and Eastern aspects of the hills. There are 42 species of major mammals, 230 species of Birds and 30 species of reptiles recorded so far in Out of the Indian checklist have 7% reptiles, 20% birds and 11% mammals. Similipal is rich in orchidaceous flora 92 species of orchids along with the omnipresent sal trees. Innumerable medicinal and aromatic plants are found as well that are a source of earnings for the local tribal population. Human Population in the Reserve area are largely tribal. Due to low level of skills in modern society, lower educational levels, socio-culture traits, they are mainly dependent on local resources like they collect and sale of minor forest products. Remoteness of the areas and insufficient infrastructure makes it difficult to enforce the existing law for providing total Constraints free zone to Similipal. There are 61 villages in the buffer area and there was nearly forty per cent rises in human population in average.There are four villages inside the core area and the human population in core has increasing slowly. The beauty of the park brings the person into the state of hypnotic sleep. It is a god gift to this sanctuary. It would take several days to go around the park. 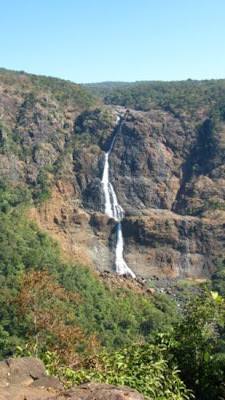 The waterfalls, tribal settlements and mountain peaks, increase the glory of the park. How to Reach: Similipal is open for public to visit from 1st November to 15th June. You can enter Similipal through Pithabata (22 km from Baripada). Entry permits can be obtained from the Range Officer, Pithabata check gate. Day visitors can enter between 6 am to 12 noon and visitors with reservation between 6 am and 2 pm. Similipal is 170 km from Bhubaneshwar, 240 from Kolkata,and 60 km from Balasore. The other entry point Jashipur is 94 km from Baripada on N. H 6, which is connecting Raipur of Chhatisgarh and Kolkata of West Bengal. Both places are well connected by bus. Taxis and jeeps are available. By Rail: The nearest prominent railhead is Balasore (60 km), served by major trains running under East Coast zone of Indian Railways. By Air: Nearest airports are Bhubaneshwar and Kolkata. Accommodation: Aranyanivas at Lulung has 8 double rooms and 2 dormitories, while Panthasala at Bangiriposi (35 km from Baripada) has 4 double rooms. For reservation, contact Tourist Office, Baripada. Call 06792 – 252710, 252593 or 0674 – 2432177. The bubbling hot spring of Taptapani lies deep in the forests and high on a hill about 56 km from Berhampur. The hot waters, believed to have medicinal properties as mixed with sulphor cures many skin diseasy. Taptapani the Hot Spring , Deer Park , Holistic Bath at Lord Shiva, and moreover the beauty of the rolling tribal inhabited hills are the main attraction has been added to this panaromic place attracts thousands of visitor picnic parties and devotees every year especially in winter. 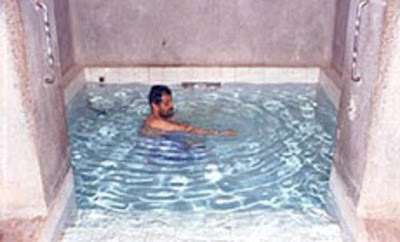 Stay at Panthanivas : If you think to stay there in Panthanivas, you will find Hot Sulphur water of Taptapani Hot Spring are also provided directly into the bathrooms of the Pantha Niwas (Tourist Bungalow). Harishankar : Hari the Name of Lord Bishnu and Shankar, the Name of Lord Siva, the Temple is Meant for both Bishnu and Siva, idol of Union. Again it is learnt that when the great disciple of Ramachandra in Ramayan the Great Epics of India , the great hero Hanuman was flying with Giri Gandhamardhan means the Great Mountain called Gandhamardhan from Himalayan Range which one was full of medicinal plants and was required for the treatment of Laxman, who was at death during Rama Ravan Fight at Sri Lanka, a part of mountain was fallen there and now the people is also calling in same name Gandhamarchan and now it is also with rich medicinal plants. 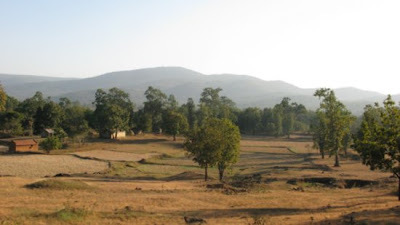 The Mountain is about 30 KM in Length, 1.5 KM in height and 10 KM in width and enriched with Alumina is creating a platue like plane on the top with valuable Sal, Non Sal woods including hundreds of medicinal species and it is maintaining a good ecological balance to its surrounding Orissa and Chhatisgarh state. And hundreds of Tribal family are earning their rosi roti (Fooding and Clothing) through selling valuable forest products. The spectacular ever green dense forest, flowing of natural spring and the presence of Jala Devata, Harishankar and Temple creating a great pilgrimage and picnic spot for visitors attracting hundreds of visitors daily to the Place. 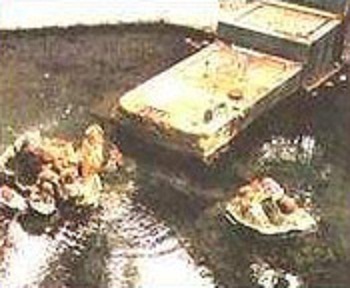 Slipping on the stone with running water at Harishankar will give you a remarkable memory of the life. How to Visit : Harishankar is about 70 KM from Balangir in the west direction through Patnagarh. Again Balangir is about 330 KM from Bhubaneswar in west via Khurda, Nayagarh, Dashapalla, Bauda, Sonepur. As Balangir is well connected with Indian Railways and Buses from Bhubaneswar you can reach easily either by train or bus, from where you can rent a Taxi for visiting the Place. Harishankar is in Balangir District of Orissa, situated near to the western border of the State. Don't forget to plan to visit Nrushighnath nearly 40 KM away from Harishanar. The Nrusinghanath Temple is situated just adjacent to Harishankar in Opposite side of Gandhamardhan Hill. Trilochaneswar Temple of Jajpur the Shakti Pitha and Kingdom of ancient Kaling Empire. Contact: sbidyadhar@yahoo.com. Powered by Blogger.